Meet Anna Emerson, a 30-year-old teacher looking to make some extra money during the summer. When offered a job to tutor 16-year-old cancer patient T.J. Callahan, who is in remission, she doesn’t hesitate to accept, especially knowing she will get to travel with his family to their rental home in the Maldives. What could be better than a working vacation? Meet T.J. Callahan, on the verge of turning seventeen and having fought cancer for the last several years the last thing he wants, now that he is finally in remission, is to be stuck on an island far away from his friends, with just his family, playing catch-up on school work. In an act of rebellion he refuses to leave with his family but instead stays behind to attend a “party” with some friends and decides to fly out with Anna and meet them a few days later. On the last leg of their route to meet T.J.’s parents the pilot of the seaplane they have chartered suffers a fatal heart attack leaving his plane to go down into the shark-infested waters of the Indian Ocean. Having survived the plane crash T.J. and Anna cling to their life jackets until they eventually wash on shore of an uninhibited island. After several days they realize there isn’t much hope for being rescued and in order to survive they must work together to find food, fresh-water, shelter and overcome the very real dangers of living on an uninhibited island. Their days turn to weeks, weeks turn to months and months eventually turn into years. 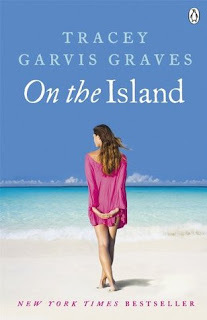 While Anna arrived on the island as an adult, each day there she has watched T.J. grow from an adolescent into a man and she recognizes her feelings for him have also changed. She no longer sees him as a teenager but as a man whom she depends on, who she has fallen in love with. This book blew me away. When I first learned what the story was about I had my doubts. I didn’t think I would enjoy reading about and older woman falling in love with a teenager while being stranded on an island. I figured it was going to be far fetched. I also assumed I probably wouldn’t be able to relate to the characters and I thought their relationship might feel awkward with such a large age difference. But so many people were talking about what an awesome book it was I decided to go against my gut and give it a chance. I am so glad I did! On the Island was written beautifully and I don’t have anything negative to say. It pulled at the strings to my heart and I have no doubt it is a direct result of Tracey’s amazing ability to tell a story, making every aspect incredibly authentic. I haven’t been able to stop thinking about it since I finished reading it back in May. The relationship between Anna and T.J. felt genuine and wasn’t an instant love at first sight, nor did they get intimate until he 19-years-old so there was never the issue of him being a minor. Because the story was written with switching POV’s you really understood where each character’s feelings were stemmed from and you saw they struggled with their growing feelings. It wasn’t rushed. T.J. and Anna literally depended on each other for their lives. I think their love for one another grew out of respect and appreciation. The root of their relationship was teamwork. I don’t want to say too much more about the story or about their relationship because I’m not sure I could do it without giving away the whole plot. This book was incredibly well written and I think the switching POV’s allowed the story to develop naturally. For me it wouldn’t have been the same if I couldn’t experience the intensity of the situations through each character. If you are worried whether or not there will be a HEA, worry no more! You get one. In fact the epilogue was just brilliant and wrapped up the story perfectly. I literally couldn’t put this book down once I started and had it finished in one day. Don’t hesitate like me, go buy it and experience it first hand for yourself. It’ll definitely give you a book hangover, the kind you want!